Selecting GPS capabilities you will purchase and use will be based on computer processing capabilities of the unit. This is combined with the antenna it will use. 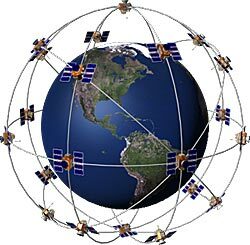 All GPS units access data from the same satellites in orbit around the earth. The Global Positioning System (GPS), originally Navstar GPS, is a satellite-based radio navigation system. It is owned by the United States government and operated by the United States Air Force. The signals are provided to all users, free of charge. They use a radio based system to communicate from satellites to GPS units. This is where user-collection-techniques raise to the highest levels of importance. A staff with a top mounted antenna, wired to the GPS device delivers the highest position location quality. The staff keeps the unit fixed and stable for a period of time to record a point averaging position. This technique increases the accuracy of the position recorded. The antenna mounted above the operators head-level also reduces multi-path propogation – allowing unobstructed view from antenna to satellite. Other techniques to limit multi-path interference involves off-setting position recording from poor reception locations to clear-view points. These are the techniques each operator should learn, experiment with, and use on every GPS data collection project. Recreational Grade GPS Receiver is a category used frequently in vehicles to assist drivers with navigating from address to address. They are designed to identify which roads to turn on and the distance remaining to reach the destination. Some cellular phones use cell phone repeater towers to accomplish a less precise level of accuracy. Generally speaking, an accuracy of about 100 feet is common for these units (sometimes better, sometimes worse). 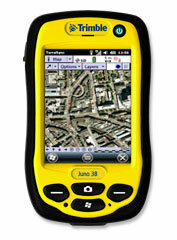 Map Grade GPS Receivers offer users a range of position accuracy, depending on the receiver selected. At the lower end is the GPS receiver that can collect data to within accuracy levels of 3-5 meters. Higher grade receivers are capable of reaching accuracy levels of 0.5 – 2 meters, or 1.5-5 feet. Generally, as the level of needed and verifiable accuracy increases, so does the cost. The cost of the supporting technology to process those data increases as well. These receivers depend substantially on the techniques of the GPS user to collect the data. This precision vost factor applies to the data for use in the office. 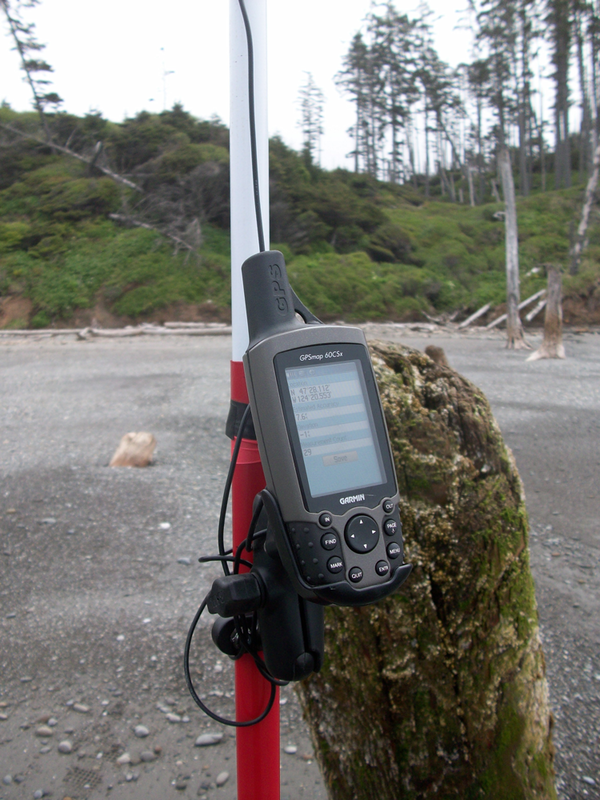 Survey Grade GPS Receivers also offer users a range of position accuracy. 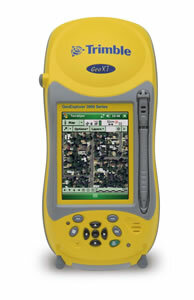 At the lower end, is the GPS receiver that can collect data to within accuracy levels of 1 meter (3 feet). Higher accuracy gets to less than 30 cm, or even to within 1 millimeter. Again, as the level of needed and verifiable accuracy increases, so does the cost. All Survey grade GPS receivers require post processing software and GPS data administration services to attain the “verifiable” accuracy levels. It is a common expectation that a tri-pod mounted external antennae is used for this level of positional accuracy. Point-averaging and multiple-point data collection aids and verifies coordinate data collected. Other considerations are needed when purchasing a GPS unit beyond just the accuracy. The durability of the unit may be of top concern for those working in more dangerous terrain or on waterways. The “drop-ability” of a unit or the water resistance it has may be of great necessity due to the nature of the work. The accessories that can be accepted by the GPS unit may also be of great importance. Often, the GPS receiver will collect the highest quality data if it is accompanied by an external antenna mounted on a staff. Other times, a high-accuracy backpack antenna will be used by the data collector to ensure the best quality GPS signal all day long. Some units do not offer the ability to connect to an external or backpack antenna. Other accessories that may be of use to consider are screen protectors, stylus or digital pens, additional storage space (e.g. SD card), in-car battery chargers, or removable batteries. Be sure to consider what may be essential or even useful to have when performing the most-common data collection work for that unit. Take for instance the timber cruiser who needs to collect timber cruising plot center points with the GPS receiver, then collect tree data on several trees per plot. Contrast this with the professional surveyor who is collecting the positions of section corners, or property lines. In this situation, the timber cruiser may not be able to meet timber cruising production levels while carrying an external GPS staff or backpack for the GPS antenna with a cable capable of catching on branches. But he may find himself working in rainy conditions and hiking up and down steep terrain far from a support vehicle. This user may require a unit of high durability, with replaceable batteries in case one drains in the field, but external antenna connections are not necessary since an increase of accuracy may not be justified for a timber cruise’s plot center locations. On the other hand, the mapping of proposed road center lines through the forestlands with a support vehicle within a short distance may meet the justification for an external antenna. But replaceable batteries are unnecessary if the user has an in-car charger; and the durability is a non-factor since this user is on fairly level ground. But considering a surveyor may collect over 500 seconds of data for a single point means the user will need as much data storage space as possible in the GPS receiver. Data augmentation refers to how positional data is associated with your GPS points. Some GPS receivers can only give the point a label (like “Point001”); other receivers can provide the user with additional information input screens. The input screens are sometimes referred to as a Data Dictionary or Data Entry Form. The GPS receiver that only collects a point label is generally used by the field technician who will record additional data on a field sheet of paper while at the point. Users of a Data Dictionary enabled GPS receiver can digitally fill in prompted fields of data to augment the position’s location. 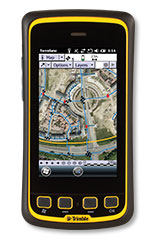 Some field computers combine the GPS data collection feature with an intricate use application (such as some of the timber cruising handheld field computers). Although listed last on this list, the topic of cost often ranks high on the list of considerations for the selection of the GPS receiver. We suggest that you consider not only the cost of the actual GPS receiver, but also the cost of supporting software and hardware for the receiver. The receivers generally range in price for a recreational grade receiver of about $100 to $250, to a map grade receiver for about $400 to $5,000, to a survey grade receiver for about $5,000 to $75,000. An external antenna can cost between $30 and $1,000 depending on the receiver selected and the features of the antenna selected. Some backpack antennas can dramatically increase the GPS signal received by the unit, but may be restricted by the ability of the GPS unit to “read” that high-level accuracy signal. Software for the GPS receiver to transfer from the receiver to a computer, and back again, is highly variable depending on the needs for post-processing the data. At the low extreme, many of the recreational grade receivers cannot transfer data to a computer or send it back again. Some recreational grade receivers do not even display the coordinates of a position they record (they are recreational use after all). Many of the Map Grade receivers can transfer data between the receiver and computer, and some of the software is free. But the map grade receivers cannot generally deal with post processing of the points they collect. At the other extreme, some of the survey grade receivers have highly evolved supporting software that can correct and conduct the verification of the point and line accuracy collected by the GPS receiver, and the software can cost between $2,000 and $25,000. 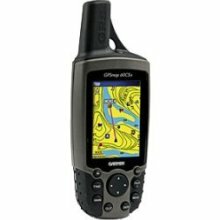 GPS Receiver vendors supply a variety of options for the user for all grades mentioned here. We recommend two specific brands of GPS receivers for most users involved in field collection efforts, who engage in natural resources work. 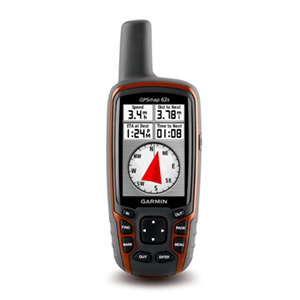 For over two decades, we have been using Garmin 76 and 60 series GPS receivers with great satisfaction for the durability, versatility, and reliability of the units. Their operations are intuitive; they are weather resistant; and they run on two AA size batteries for easy replacement in the field. There is an external antenna port for times when an external antenna is desired, but the internal antenna serves the purpose well. These units are classified as recreational grade, but the user can implement field collection techniques to move the quality of the data into the Map Grade realm. To accompany this aspect the Minnesota Department of Natural Resources developed a program to transfer GPS data from the Garmin series of GPS units to the computer and back again. This program is offered for FREE to users and even moves the GPS data into ESRI ArcMAP programs (including version 10.x) for mapping. Sorry, no MAC support. 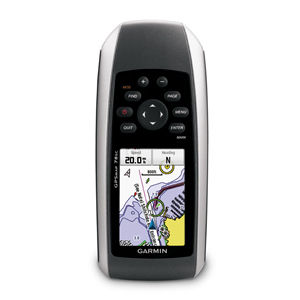 The 76 series GPS unit has been discontinued by Garmin, but the 60 series is still available. Other models we have used (and recommend) include the 62 series and the 78 series receivers. We recommend you look for an external antenna port and microSD card slot. When higher accuracy needs are required, we have turned to the Trimble family of receivers with the Juno and GeoExplorer meeting our field collection needs. These two units are what some field staff may refer to as “data collectors” rather than simply “GPS units”. 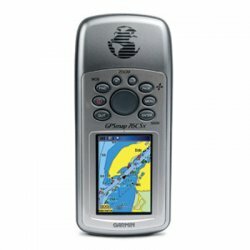 These units are, in practicality, handheld computers with features like Windows Mobile operating system, web browsing, Bluetooth connectivity, mobile software like Microsoft Word or Excel, as well as a very powerful built in GPS antenna. Due to the sizeable difference in cost between the Trimble Juno series ($800-$1,200) and the GeoExplorer series ($2,000-$10,000) the major deciding factor between which Map Grade unit(s) to purchase is the accuracy required by the user. 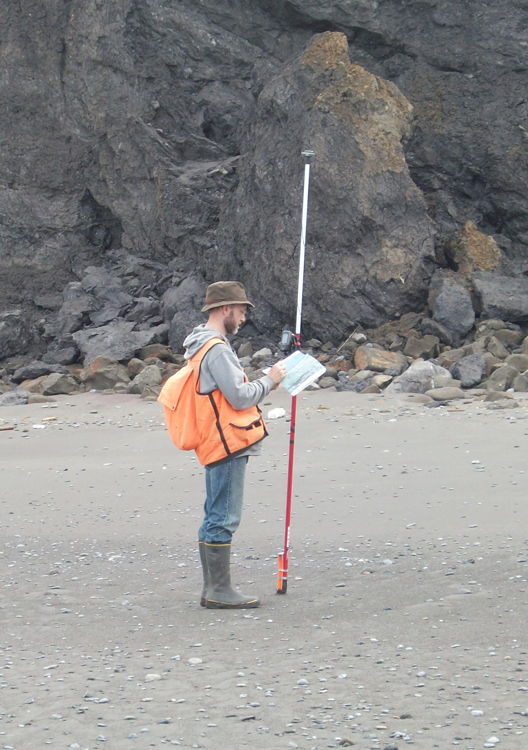 The Juno series is capable of 1-3 meter (3-9 feet) accuracy using good data collection techniques, while the GeoExplorer series are capable of near 10-50cm (0.3-1.3 feet). 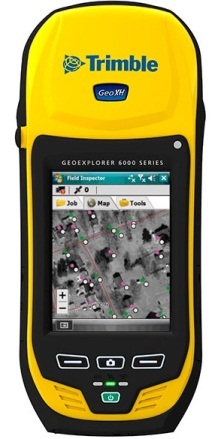 Both the Juno and GeoExplorer units come in varying levels of accuracy and/or add-ons. Of course as add-ons and accuracy increase, so will the price. The rule of thumb when looking at a Trimble Map Grade GPS unit is: If the work requires sub-meter accuracy (within 3 feet precision) then turn to the GeoExplorer series; if not, then the Trimble Juno is a great value and wonderfully flexible unit. Remember, once you get those Excellent points and lines on your GPS, you need to get them into your GIS system and know how to make them meaningful.